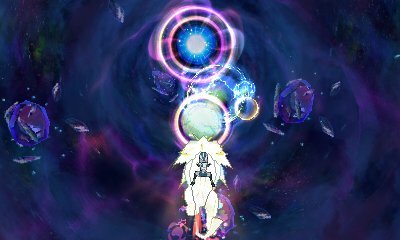 While in Pokémon Sun & Moon you could travel to one area of Ultra Space, Pokémon Ultra Sun & Ultra Moon has changed it up by allowing you to ride on Solgaleo or Lunala to fully explore various areas in Ultra Space. 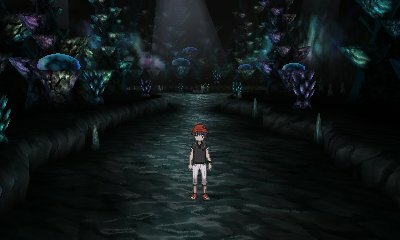 This unlocks after you have gone through the Ultra Wormhole to go to Ultra Megalopolis and allows for you to go to various different areas to find different Pokémon, including Legendary Pokémon! 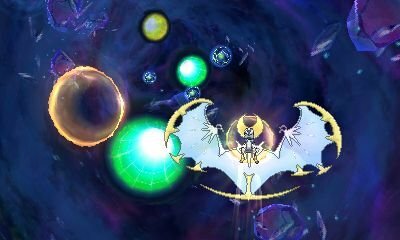 When you first go to Ultra Space, you will fly on Lunala in Ultra Sun or Solgaleo in Ultra Moon, but you can change between the two at will in Ultra Megalopolis. 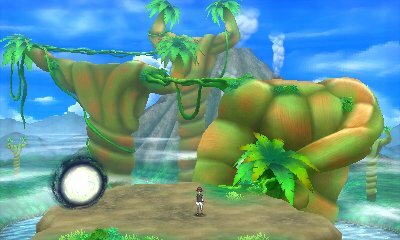 The controls are also initially purely motion, but you can switch to the Circle Pad in GAME FREAK's building in Heahea City. 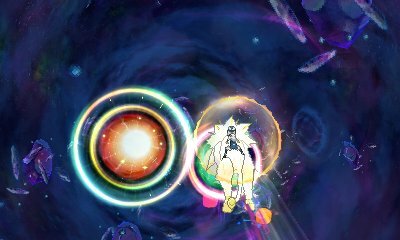 Flying through Ultra Space requires you to collect various orange orbs of energy. These will increase the speed of your Pokémon and allow it to travel further distances. 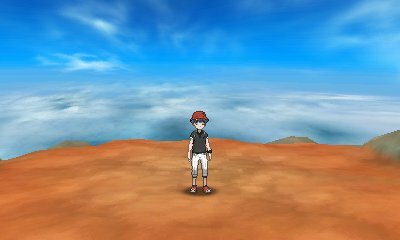 The more you get the better, as their appearances are very frontloaded, being very rare as you progress. In addition to the wormholes, you will also see blue balls of electricity. If you hit these, then you will slow down and lose some energy. With smaller energy, you struggle to escape the gravity of the wormholes and eventually get dragged into the next one. 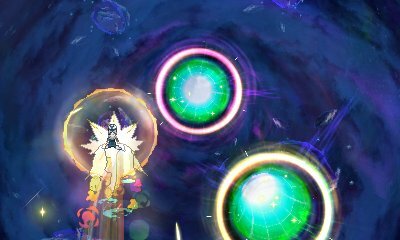 When flying through the Ultra Wormhole, you will see diffferent Warp Holes in colour, but as you progress further you will start seeing different borders around them. 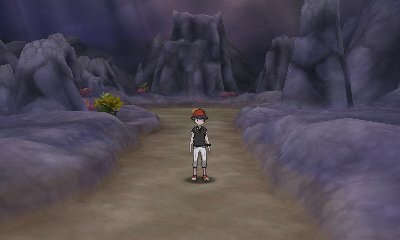 This means that they have a higher chance of giving you a rare Pokémon, especially a Legendary Pokémon. However, this is not a guarantee and just increases the chance. When you land in the Warp Hole, you will get told how far you travelled. 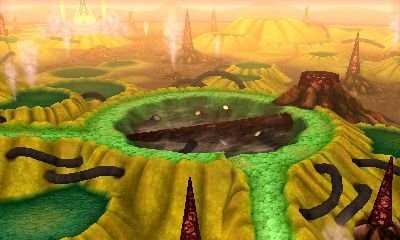 The Warp Hole's pattern is determined solely by random chance for the distance you travel, so you need to make sure to stock up on energy and avoid electrical obstacles. 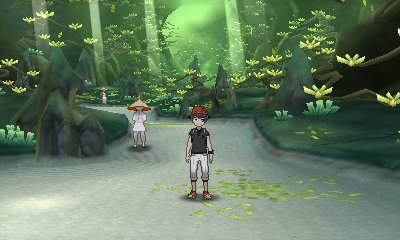 Another thing that changes as you progress through further Light Years is the chance of encountering a Shiny Pokémon. 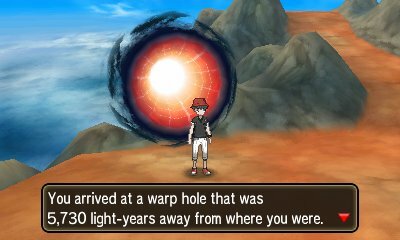 The further you go, the higher the chance is that the Pokémon you will get is a Shiny Pokémon and the wormhole also factors in capping at 5,000 Light Years at 36% in the Type 4 Wormholes. However, there is a twist to this. 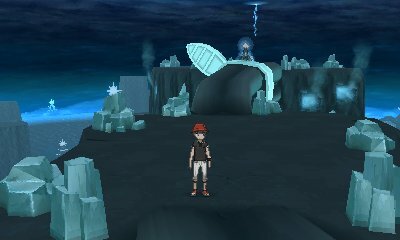 The shininess of a Pokémon is determined when you land on the Ultra Space Wilds. 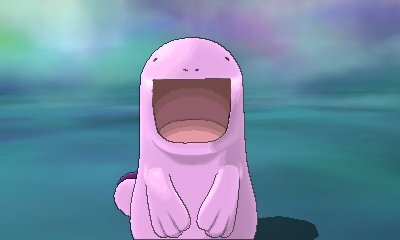 As such, you will have the ability to soft reset the Shiny Pokémon to get a better nature or IVs should you do so desire. 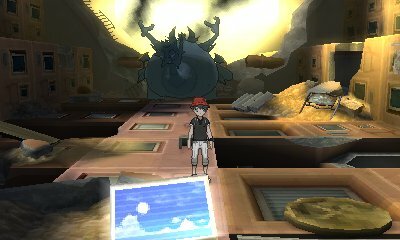 For Legendary Pokémon, however, this is not the case. 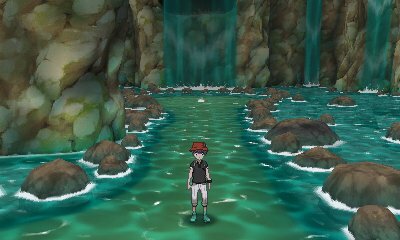 Rather than be shiny when you land, you can instead just soft reset them to be shiny like you would any other Pokémon in any other part of the game. 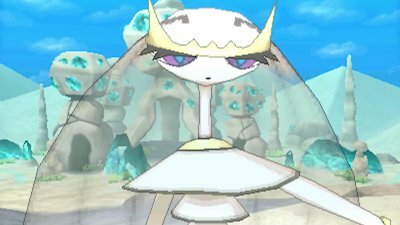 Ultra Beasts you can get an infinite number of times, but Legendary Pokémon will only appear until they have been captured. 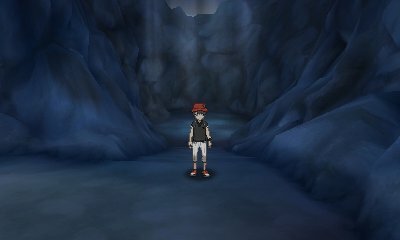 The White Wormholes are unique in that they give you access to the Ultra Beasts. You can repeat these ad nauseum, but they each have different rarities.